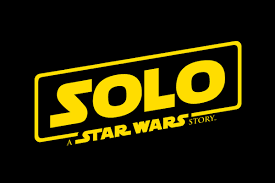 You can probably guess my unbiased opinion of the movie based on the title of this article, but if not I'll just say it: Solo is unnecessary and pointless. I've waited a couple of weeks after its release to write a review-- not because I do not want to ruin your experience with spoilers. For the same reason I kept having to remind myself over and over a Star Wars movie was coming out in months/days/hours. I kept forgetting. It is not a bad movie; it is fun and at times funny. But it should not exist. When Disney bought Lucasfilm several years ago, I screamed. New Star Wars films! I loved The Force Awakens, Rogue One, and The Last Jedi. They had vision, unexpected developments, and characters I loved and cared for. It was recently announced that two new Star Wars trilogies are in development, plus a Boba Fett spin-off. For Solo, Disney thought one of the most beloved characters in film history, and my all-time favorite film character, needed a back story. The film's original directors were fired, necessitating re-shoots with new director Ron Howard, exploding the movie's budget to reportedly $250 million. After two weeks, it's grossed $155 million-- pretty great for most summer blockbusters released on Memorial Day weekend; pretty lousy for a Star Wars movie (the previous three each made over $1B). So far this year it's sandwiched between A Quiet Place (haven't seen it but I've heard great things) and Ready Player One (pretty lousy). There were four movies in the first 22 years of this franchise. There have been four movies in the last 3 1/2 years. Not to mention TV spinoffs and video games. But as I said, the previous three movies made a billion dollars, and Marvel has consistently made $$$ with its packed release schedule. Even a Star Wars movie still must have characters we care about and want to spend time with. Aside from Donald Glover's Lando impression (spot on), it's not happening here. In a movie about Han Solo, the coolest, funniest movie personality ever. Unreal. Han doesn't just understand the Wookie language-- he actually growls (??) it? And there's one point where Han is betrayed, and the guy says, "I told you earlier to trust no one." He actually says that line-- a standard cliche from any action movie with a character twist. Lazy. And people keep telling us how great a pilot Han Solo is-- after he has told us over and over that he wants to be a great pilot. Can't we just judge it for ourselves? Actually the movie makes it pretty clear that the Millennium Falcon does the difficult piloting work itself. But in the movies made forty years ago and Episodes VII and VIII it's Han or Rey who make the Falcon great. My head hurts. If you are curious about Han Solo, watch A New Hope and The Empire Strikes Back. Watch The Force Awakens. He is a supporting character in this universe-- one who has a major change of heart and becomes the hero he once thought were useless do-gooders. The chemistry between Harrison Ford and Carrie Fisher and Mark Hamill is just electric, unlike the chemistry between characters in Solo. They are good actors; the material doesn't measure up.